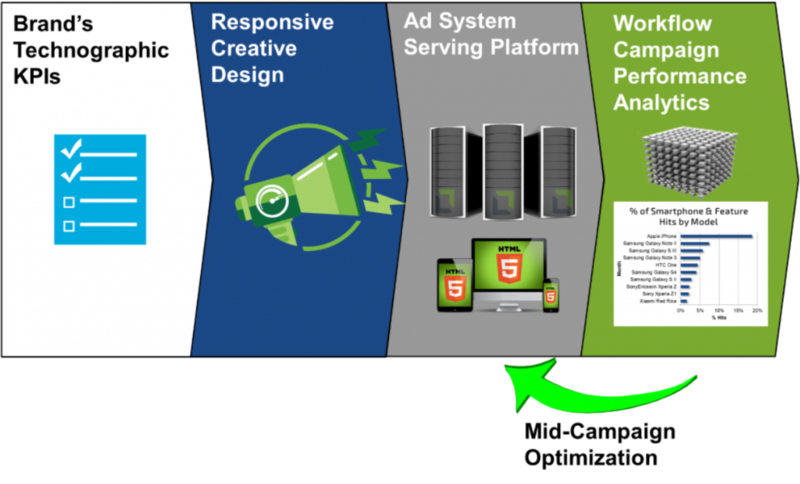 Undertone uses WURFL InFuze for Apache in its Responsive Creative Design (RCD) framework to generate cross-screen ad products, provide device-aware mobile advertising, and enable collection of ad campaign analytics by device. Undertone develops immersive video and high-impact display ad units that enable brands to engage consumers beyond the confines of traditional banner ads. Through their technology platforms, Undertone delivers these ads across screens and devices on a handpicked portfolio of the world’s best media properties. Undertone is known as a leader in high-impact advertising. Its advertising products combine innovative creative with technology, enabling the world’s biggest brands to reliably deliver standout experiences through their digital advertising. Undertone has recently focused on helping its brand customers extend their high-impact advertising across screens, in order to capture user demand as it emerges and grows on new devices. Undertone launched a series of new cross-screen formats which are built using Responsive Creative Design (RCD). RCD makes Web content flexible, allowing sites (or in this case ads) to dynamically optimize for any screen size. With responsive design, layouts, font sizes, links, and menus can automatically change, images can become icons, and click/drag can become tap/swipe. This allows Undertone to more reliably deliver high-impact ad formats (e.g., ScreenShift®, PageGrabber X™) without having to worry about designing separately for ad sizes on smaller screens or differentexecutions for different devices. While designing in RCD simplifies many stages of the creative development process it introduces a number of problems for delivering functional advertising across screens. The ability to target its audience based on certain technographic indicators (e.g. device model or capabilities). The ability to dynamically alter the content of its ads based on the device type to which the ad was served. The ability to determine whether an ad product would work on a particular device given its capabilities (e.g. video playback). Performance information broken out by device, to monitor the results of its campaigns by device type and platform, in order to more appropriately optimize towards high-performing environments. To support all of these requirements for its cross-screen advertising products, Undertone needed a high-performance device detection solution capable of delivering device capabilities intelligence in real time, with negligible impact on ad serving time. The solution also needed to support multiple platforms, scale effectively, and integrate easily as new advertising products were developed. Undertone selected ScientiaMobile’s WURFL InFuze for Apache based on its ability to address these requirements. WURFL InFuze for Apache is a module that installs directly on to Undertone’s Apache servers. It enables the Apache server to access WURFL device capabilities information. In addition, environment (ENV) variables can be enriched to contain device information, effectively making such information available to programming languages that Undertone uses that implement applications downstream. As a result, Undertone’s advertising product developers do not need to install and manage separate instances of device detection for each ad product that they develop. And because WURFL InFuze for Apache operates based on an underlying high-performance C++ API, Undertone receives both speed and simplicity in its implementation. Undertone easily integrated WURFL InFuze device detection across their systems. It has resulted in a significant reduction of the time and budget it takes to launch ads across multiple screens. For clients, they now receive a seamless brand experience developed on every device with no separate executions required. And because ads delivered using RCD are delivered across screens, Undertone can also provide centralized tracking and reporting, giving clients new insight into how brand messaging performs across different devices. One example is Undertone’s PageGrabber X ad product. It is built using the Responsive Creative Design Framework to ensure a seamless and scalable advertising experience across devices. The ad provides full page takeover, with multimedia proportioned correctly for smartphone, tablet, or desktop. 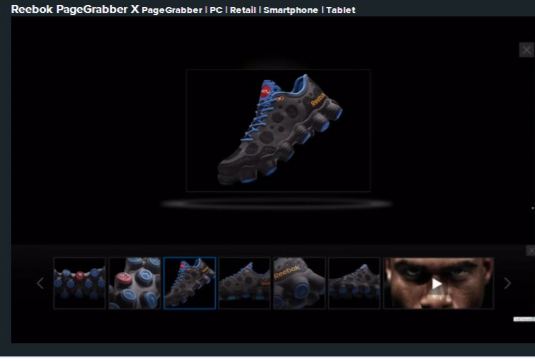 The advertisement has rich interactive functionality, including social, video, photo, click/drag for desktop, tap/swipe for mobile. Using WURFL InFuze, Undertone can ensure that the correct format is delivered to the device type and that it is capable of the interactivity. Undertone successfully leverages WURFL InFuze device detection across its creative development, ad serving and campaign monitoring. And now that it is integrated, WURFL InFuze will streamline the development process of future HTML5 ad products.